Flash sales" publicising a Chinese smartphone company's UK launch have sparked a backlash on social media. Xiaomi advertised two of its new handsets for £1 each last week as part of a "crazy deals" promotion. 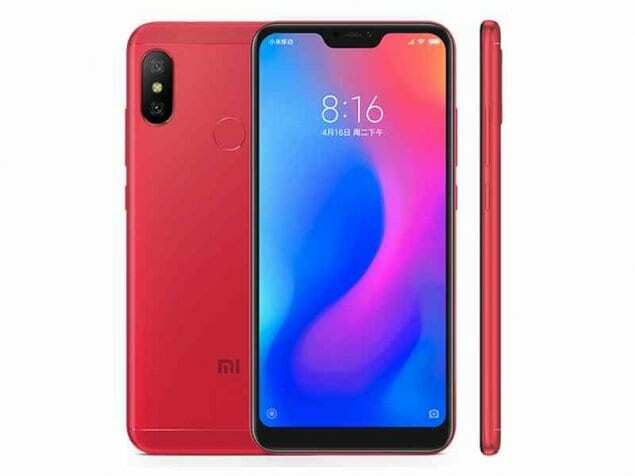 But it has emerged that each flash sale involved only two or three phones and Xiaomi had set its website to say: "Sold out," as soon as the sale opened. The UK's ads watchdog said it had received a complaint and was now deciding whether to investigate. "We've held flash sales all over the world since our first one back in 2013 as a way to give a lucky few customers a chance to get their hands on our smartphones at incredibly low prices," said a spokeswoman. "[This] was our first in the UK and attracted enormous levels of demand, far beyond what we were expecting. "We're sorry so many Xiaomi fans missed out this time round but we hope they'll take part in future flash sales as and when we announce them." Xiaomi's business model is based on selling its hardware at low profit margins and it has regularly held flash sales in other markets as a relatively cheap way to attract attention and gauge demand. Dozens of users complained on Xiaomi's Facebook page after failing to obtain a phone. "For a company worth around $50bn launching in a brand new country and making a big deal about it they could have done 50 easily. They didn't. They'll lose potential customers over this," wrote Simon Hodge. Another user, James Bowen, said: "What a joke, as soon as the timer hit zero, it was out of stock - just clickbait to get people to visit the website." One user subsequently analysed the webpage's code and pointed out it had been set to say: "Sold out," as soon as the sale had opened - without even checking to see if the allocated stock had indeed been purchased. "Of the thousands who clicked 'buy' simultaneously, the tie-breaker is done by selecting the winners randomly," he tweeted. But users have complained the terms and conditions made no mention of a lottery, stating only that the phones would be "given away on [a] first-come, first-serve basis". A spokeswoman for Xiaomi has confirmed that this was the case but added that this "mistake" had been fixed the day before the first sale. This could still have consequences as the Advertising Standards Authority's rules state that consumers must be informed "clearly and in a timely fashion" about the limited availability of a product. "If the ad didn't include significant conditions and the terms and conditions were changed part way through the promotion, then that could potentially be a problem," said a spokesman for the ASA. "Viral campaigns exude novelty but there are growing concerns about whether a PR [public relations] stunt like this comes at the cost of consumer trust," said Dr Mariann Hardey, from Durham University. "Xiaomi's promotion sought to create faith in what is a little-known brand. "But it has put its reputation in a precarious position by pursuing a marketing campaign that is viral both in terms of spreading widely and having had a damaging effect."